Grace found a cool beer when out west. Dominion Dark Lager by Vancouver Island Brewing. She had me examine the can. Constellations, stars, oh, and a dome. Neat. The Dominion Astrophysical Observatory. Nice. I look forward to trying it. 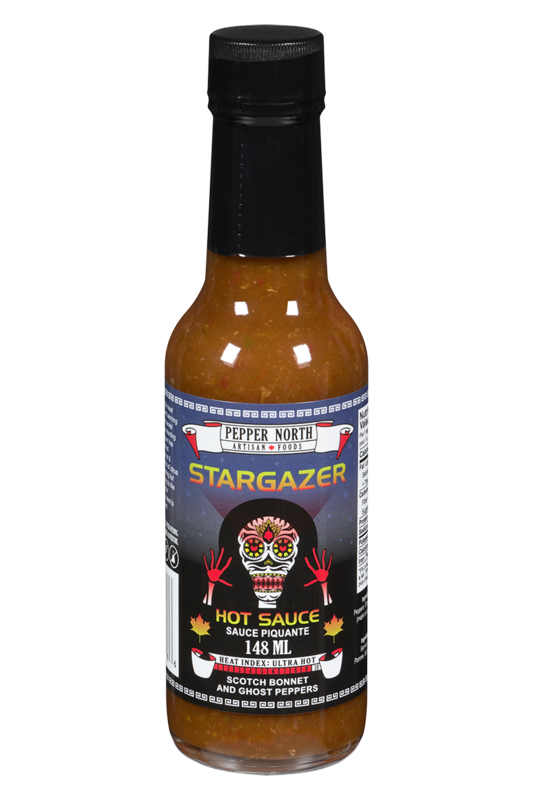 Stumbled across a super hot—correction, "ultra hot"—sauce today called Stargazer. The award-winning sauce is made by Pepper North Artisan Foods, an Ontario shop no less! It is made with jalapeño, Scotch Bonnet, Ghost peppers. Will it put me flat on my back? 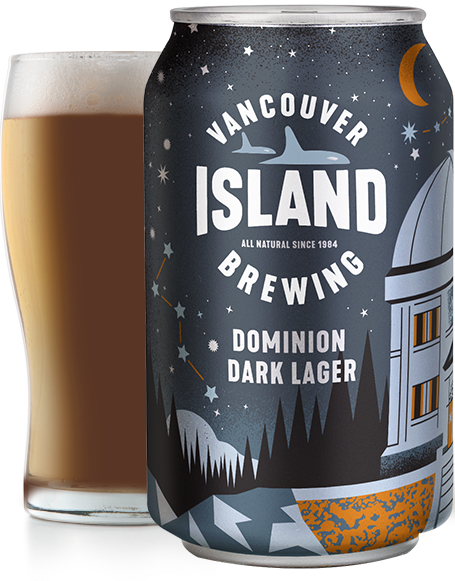 When I surfed into the by web site, I learned that the Oshawa company makes a few astronomically-themed sauces. They've a mild one called Northern Lights. And another called Solar Flare, medium spicy. Will be fun to try them out. Issued my double star "bulletin" for April 2019. It is a short list of suggested targets. I shared this on the RASC Toronto Centre forums. And I post here for all. It was over one year ago I started trumpeting the unnoticed treasures in our night skies, double stars. Along the way, I emphasised that you can observe them any time, anywhere, regardless of location, Moon light, or city light pollution. Here's a short selection of doubles which I find interesting and impressive. * There's something odd about N Hydrae. Online resources say this is 17 Crateris. But this suggestion I followed from Sky & Telescope does indeed show a neat pair at 11h 32m 16.40s, -29° 15' 39.7". 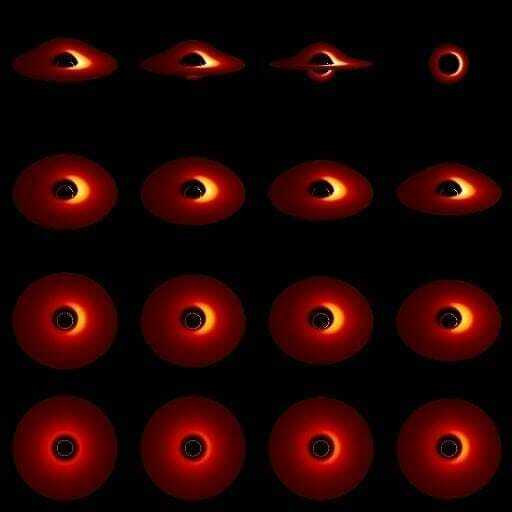 Consider adding these to your observing list. Doubles are fun! I look forward to hearing how you make out. Holler if you have any questions. 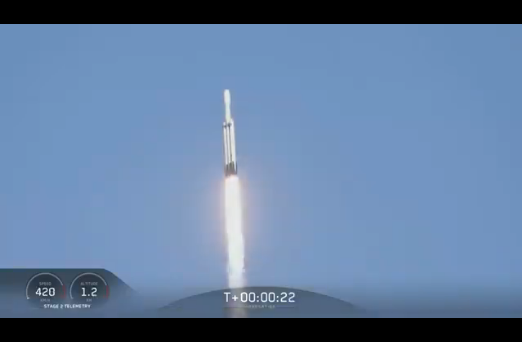 Watched the SpaceX launch. 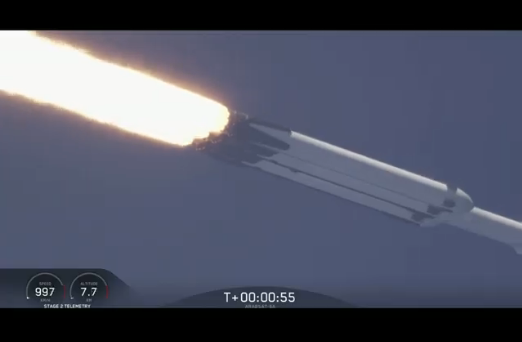 This is the second flight of the Falcon Heavy, the first with paid cargo. 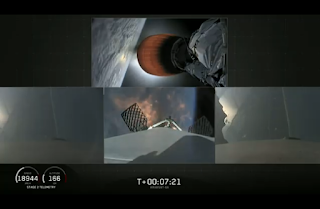 Falcon Heavy rocket seconds after launch. Must be something with 5 million pounds of thrust. 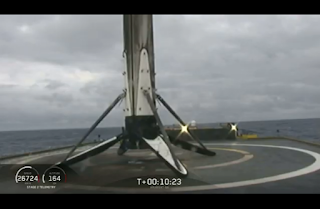 Rocket rolling. Down the pipe. Just before booster engine cutoff. Ground view and views from each of the three boosters. 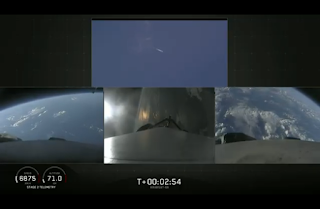 Booster separation. 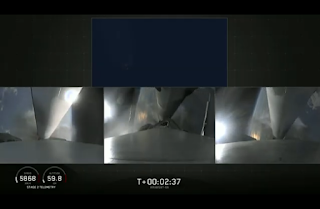 The two side boosters peeling away. Central core running. 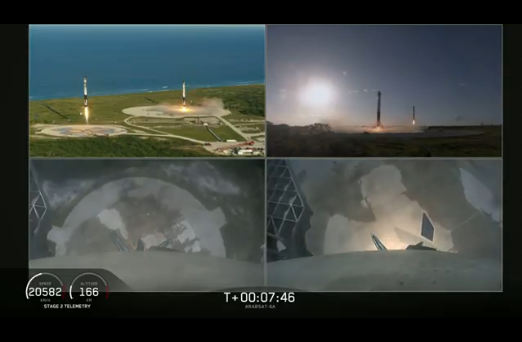 Boosters have flipped for return to Florida. Central core running. Ground view. 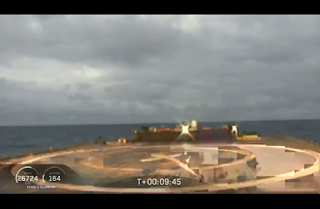 Second stage separated, ready for start-up. 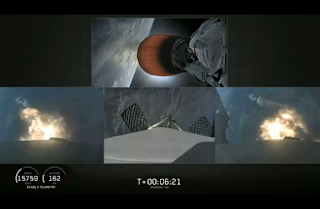 Second stage vacuum motor starting. Cone glowing with the heat. All three boosters are preparing for landing. 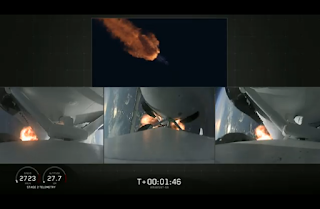 Side boosters burning. Grid fins on central booster extending. Side boosters landing at the Cape. Such an amazing site. 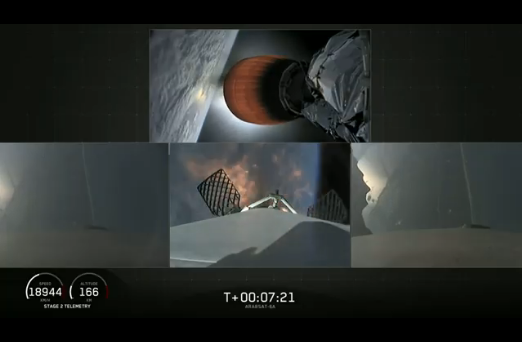 Just before loss of signal. 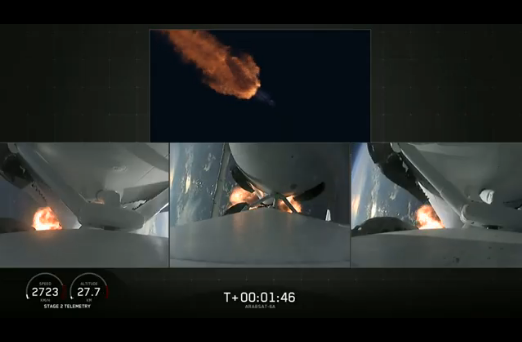 Rocket glare lighting up the deck of Of Course I Still Love You. Look at that. The dust cleared. Three for three! Amazing. 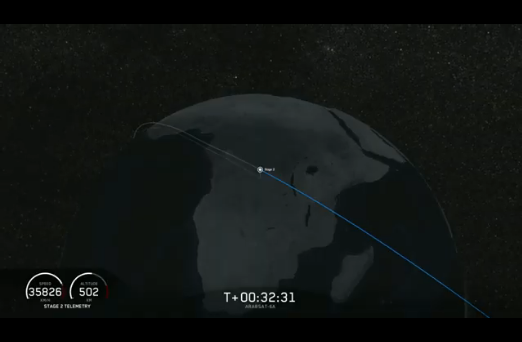 A good orbit after the final burn. 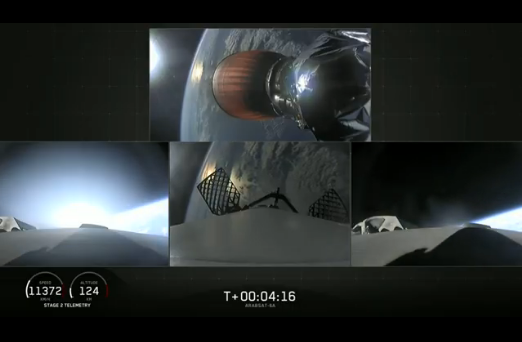 An amazing mission. 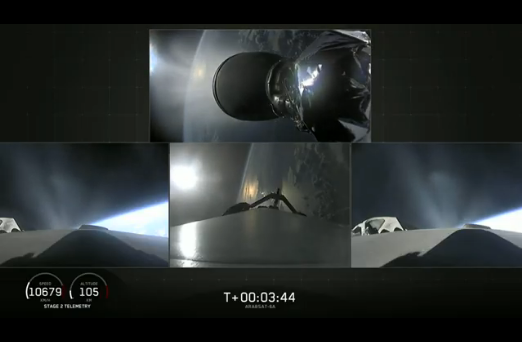 Congrats to SpaceX. They also recovered the fairings! 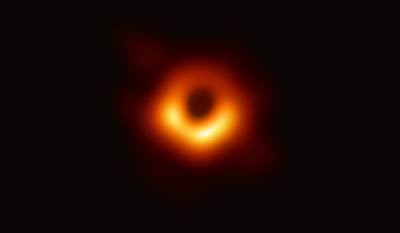 Our first direct imaging of a black hole. And not any old black hole. This is the heart of the giant galaxy Messier 87. Katie Bouman was responsible for developing the algorithms for aggregating the data from the fleet of telescopes used around the world. I like the wide field shot from the Chandra X-ray telescope to get some context. 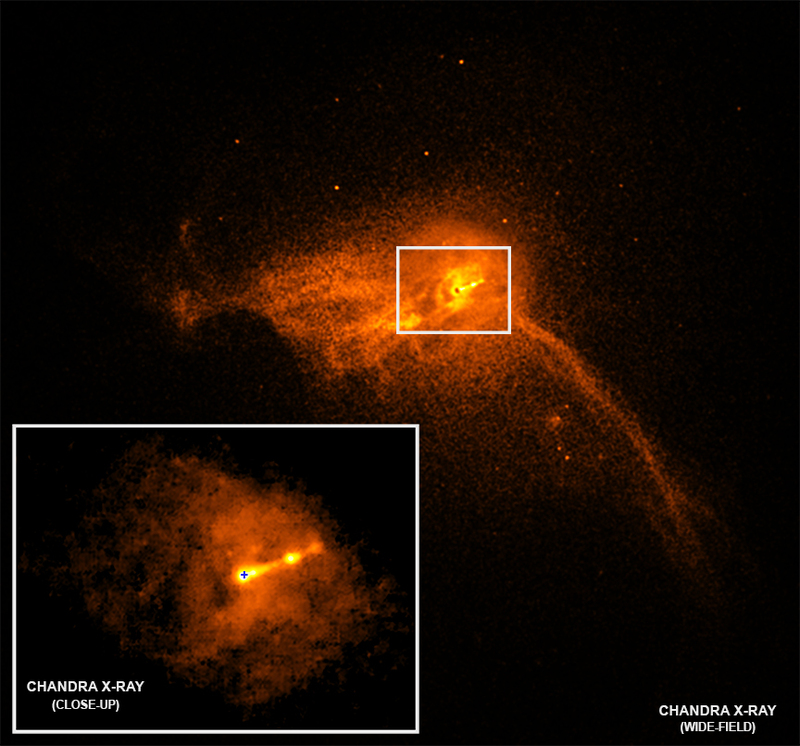 You can also see the relativistic jet from the black hole. Check out the detailed blog entry at the Chandra web site. I also like the diagrams by Alain Marck. I think they give a good sense of what we're looking at. See the NASA article for more info. See the APOD post for more info. RASC Toronto Centre council will be holding a council meeting on Wed, April 17 at 7:30 PM in the Department of Astronomy & Astrophysics Building at U of T, Rm 88, 50 St. George St.
Members are welcome to attend, please respond to this message if you intend to do so. Subtracted the dozen darks with Deep Sky Stacker. Then played around a bit in Photoshop. The image is a bit better then the raw shot with a bunch of the distracting hot pixels removed. Had a headache all day. I think some Moonlight Harvest cab-sav by Copper Moon might be just what I need. A nice local. Dry, smooth finish. Long finish. A touch tart—which I like. Lovely ruby colour. They also make a Merlot. OK.
Ooh. They have a Malbec. I'll have to try that! Nerts! Just got an email from Rockland. Subject: TeleVue Blem Sale at NEAF! Back in 2013, a bunch of us went to the North East Astronomy Forum run by the Rockland Astronomy Club. Phil lured me with the promise of great deals, cool talks, etc. It was the place to be! Before I knew about FOMO. He also said that, in the past, Uncle Al Nagler had offered Tele Vue eyepieces with cosmetic problems at deep discounts. Alas, the TV booth informed us that they weren't doing that. We were all a little disappointed. Apparently the highly regarded ocular shop hasn't brought blems to NEAF for 9 years. Interesting that it's back... Too bad we can't take advantage. Think I finally got a good one... Could have shot for 3 minutes maybe. But I'll take what I can get. Shooting darks. Camera outside (in the -2°C air), computer inside! Me inside too! Near the end of the pass, a few seconds before falling into the Earth's shadow. Eastern sky. 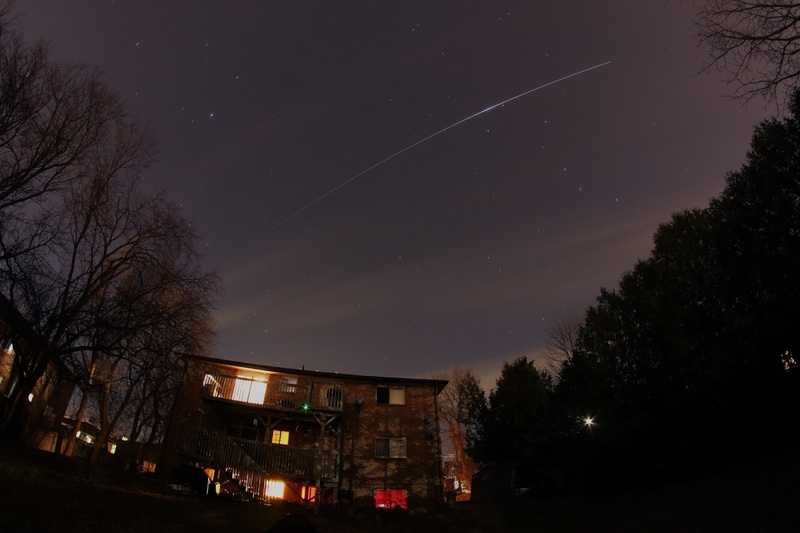 The ISS was heading right toward a dim north-bound satellite. Resurs 01 R-something. Rocket motor icon. Never heard of it. Resurs 01 Rocket. Spacetrack catalog number 23343. Rocket body from Russia launced November 1994 on a Zenit-2. 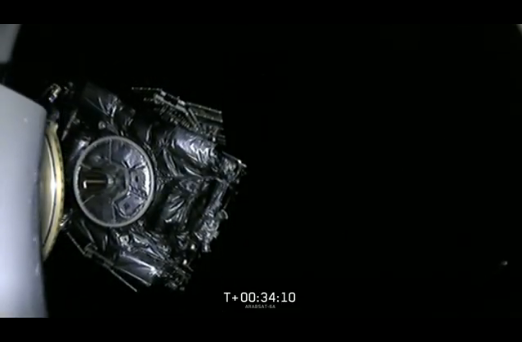 For a long time I have wanted to image the International Space Station while David Saint-Jacques was aboard. The very clear skies around dinner time encouraged me to try. Canon 40D, battery grip, Rokinon 8mm fisheye, manually focused, f/5.6, ISO 250, 120 seconds, daylight white balance, RAW, tripod mounted, Canon EOS Utility, no tracking, lots of hot pixels, Digital Photo Professional 3.8, WB tuned to 4200K. Dropped WB to 4000, bumped contrast, dropped shadow, bumped saturation. I like the little bit of trailing in the stars, when you zoom in. It emphasises, I think, the long duration. I settled into the backyard, well away from the house. Canon DSLR atop Mamiya tripod. ASUS netbook driving the Canon camera software for remote control shooting. Had the camera and lens preset to manual mode (so RAW format), ISO 100, f/5.6, with a 2 minute exposure. I was joined by the bunnies again. Looking for carrots? 8:29 PM. I started test shooting. Discovered the white balance was wrong. I just remembered a lesson from before. You want to avoid really small apertures which can multi-pointed stars, from diffraction. I wasn't planning on changing the f-stop from 5.6. 8:34. Checked the latest image. Zoomed to 200%. I could see stars. But it seemed a teensie bit soft. Blinked the first and second image. I turned the focus ring about 0.5mm to the left or counter clockwise, from the back of the camera. 8:38. Blinked the first three images. Focus looked worse. So I went clockwise 1mm. Heard the GO train rolling in. 8:43. I thought the focus looked good. Done! I reviewed the mental checklist. Framing was good. Exposure was OK (for now). Changed the ISO to 125. A new photo appeared. It was nice! Pleasing colours. 8:46. Now at ISO 160. Told myself I was not going to open the lens wide. It would be soft. Battery level OK, still, but low. Aside: I discovered inside there was no f/4 detent for the Rokinon lens. It went straight from 5.6 to 3.5. Huh. Didn't know that. Never noticed it before. 8:49. ISO 200. About 14 minutes to go. Andromake beeped. Oh, an alert from the Heavens-Above app. 8:55. ISO 250 showed a somewhat bright sky. I decided to leave it now. I predicted the exposure would be appropriate as the sky darkened. 10 min to go. Heard the woman next door with a dog. The canine, curious, ventured into backyard, hearing me, not seeing me. She coaxed it back. 8:57. I decided not to risk running on the low batteries. It would be maddening if the camera died half-way through the pass... I swapped in freshened cells into the battery grip. I waited for the Canon app to restart, ready to check the settings. It was a hazy sky. No good for astronomy but fine for my project. Noted the Big Dipper, all stars visible. Could only get three stars of Ursa Minor. Auriga with bright Capella. The Gemini twins up high. Part of the Winter Hexagon. I was happy to find all the camera settings retained. WB OK, ISO still 250, RAW of course. And now a full battery icon. Made a note to shoot darks and flats. I waited. 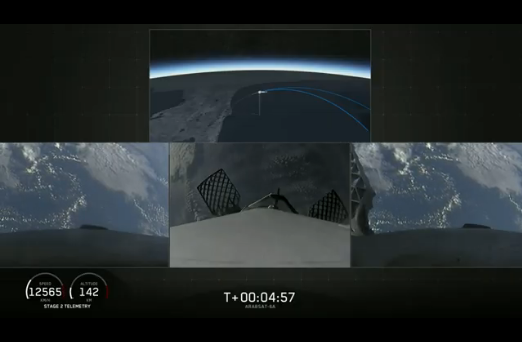 Switched to the live view in Heavens-Above Android app. Noted the icon moving on app, glacial. Watched the north-west sky... Got it! 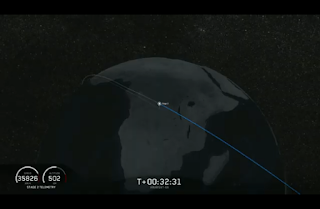 Waited a few seconds for Space Station to clear the tree then starting the timer run with EOS Utility. Sat back and enjoyed the view. Just west of the Big Dipper, it was very neat when the ISS went over some cloud. Invisible to me but the station developed a halo. Very happy that I finally caught the Space Station with a Canuck on board. Buoyed by the good skies noted at my 6:00 PM walkabout, I researched the upcoming flyover of the International Space Station. 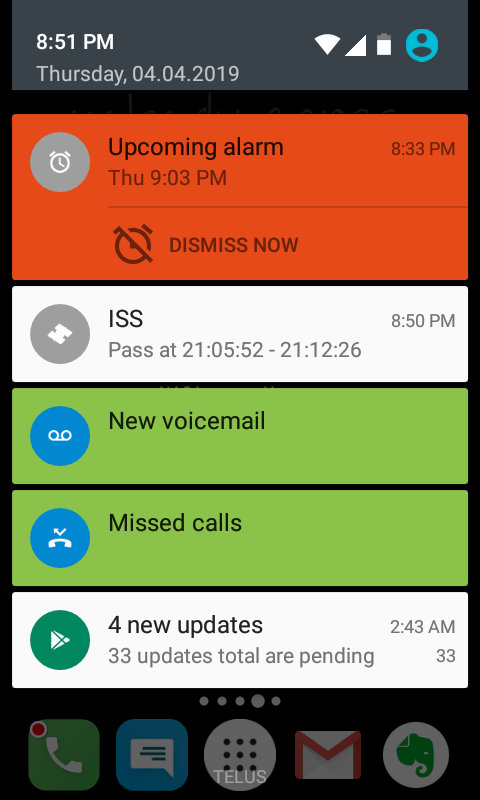 I recalled the pass was going to be around 9 PM. I noted sunset was going to occur at 7:49 PM. I planned to go out early, in darkening skies, so to have lots of time to set up and focus. Verified the flyover info in the Heavens-Above web site. Peak magnitude: -3.7. Nice and bright! 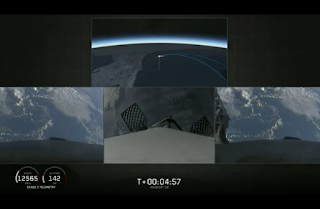 Location in sky: nearly overhead; slightly north. Checked the times. 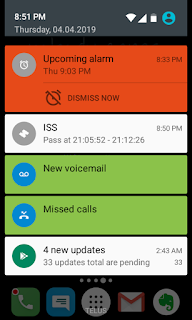 Verified everything in the phone app. Considered tracking, with the barn door. Very briefly. Then decided to keep it real simple. For this go-round. Get the exposure nailed down. Charged a pair of camera batteries. Verified the battery grip was installed (for dual batteries). Grabbed the big tripod, double-checking it had the hex plate. Set the camera to M, ISO 100, and bulb. Then changed to ISO 200. Set an alarm for 9:03 PM (on the phone). 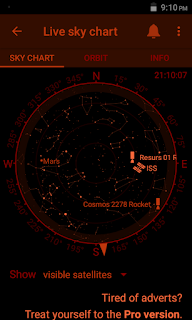 Ran a simulation in Stellarium. Definitely a northern sky vantage. I'd set up in the southern section of the yard. Checked the visible duration. 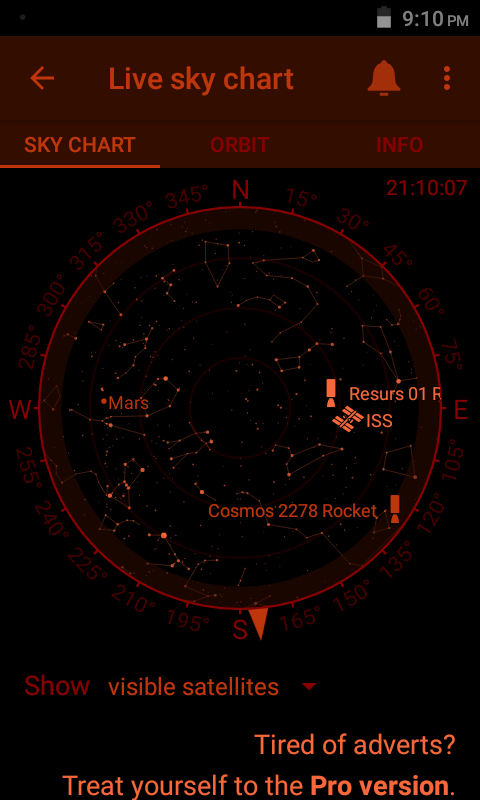 Stellarium said if I was viewing from the former tent location, near the house, the ISS would clear the roof at 21:08:15 and then enter the Earth's shadow at 21:10:30. So about 2 minutes. Worked the math. Found a nice ISS shot against a dark blue sky by Paul Willows. The photographer used f/8 for 15 seconds at ISO 3200. I was planning a single shot at 8 times the duration. I dropped the ISO to a 400 to let me shoot at 2 minutes. Then I opened the aperture to f/5.6 further dropping the ISO to 100. This would be my starting point. 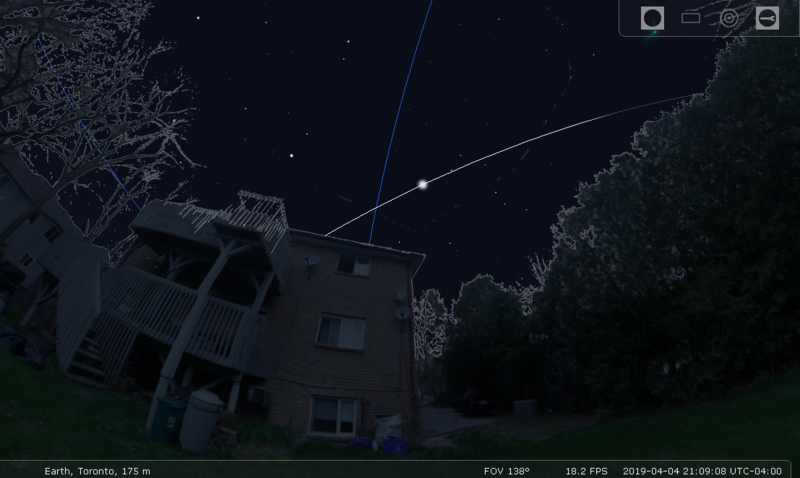 Simulated the field of view in SkyTools to decide on the lens. The kit lens at 18mm was not bad and would likely fit the whole pass. But the 8mm lens would get a lot more sky. Maybe even a planet or two... Installed the fisheye lens, set it to the infinity MARK (which is back about 2.5mm from hard stop). Set to f/5.6. Decided to use the netbook (with tether) for focus and image capture. Then I wouldn't need the intervalometer. I planned for test shots a few minutes before the flyover to do a final assessment of the exposure. Switched to red light mode. Suited up (double layered pants, winter coat). Shut off the driveway light. Packed my carry-all. Strapped on the tripod. Headed out the airlock. Surfed into Earth Science Picture of the Day (EPOD). Checked the last couple of articles. Yesterday's caught my eye. I read their explanation of why the sky is the colour that it is. Am I an uber geek given that I wore my NASA t-shirt while watching The First Man?